Clarion3 was established in 2002. This highly original Clarinet, Bassoon and Piano trio has won much national acclaim. The trio showcases the talents of Janet Hilton ‘rare lightness and grace’ (Financial Times), Perkins ‘a most alluring sound’ (BBC Music Magazine) and Briggs ‘exceptional elegance and taste’ (Daily Telegraph) who also perform solo items in a superbly varied evening of music making. Ensemble repertoire includes neglected masterpieces by Hurlstone, Glinka and others, alongside timeless gems such as Beethoven’s own arrangement of his delightful Septet. Her extensive list of recordings for the Chandos label includes Chandos label includes the chamber music of Brahms and Weber, trios by Mozart, Bruch and Schumann, and Concertos by Weber, Stanford, Nielsen and Copland. 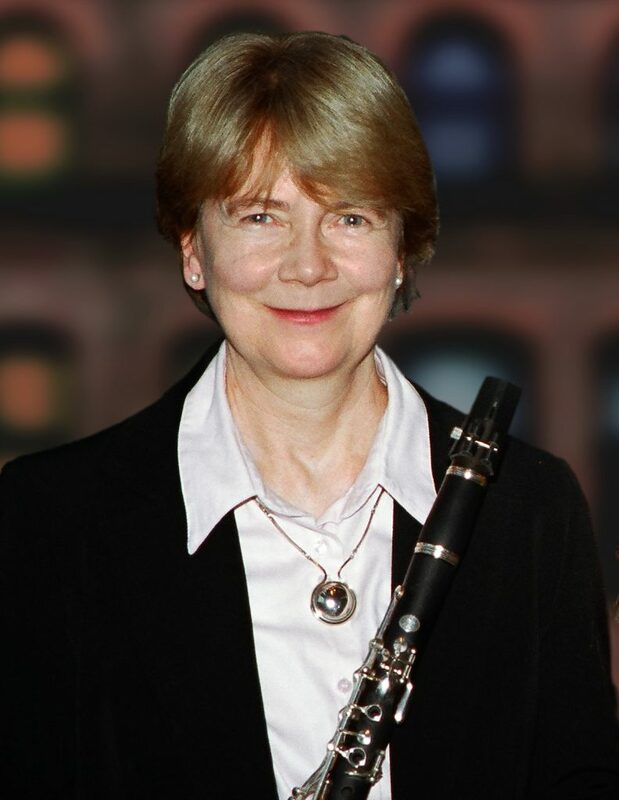 She has recorded Malcolm Arnold’s first Clarinet Concerto for EMI, and the Mozart Clarinet Quintet for ASV. Her most recent recording of solo clarinet music on the Clarinet Classics label was released in 2016. Five years previously, she released four concertos written for her by Alun Hoddinott, John McCabe, Edward Harper and Dame Elizabeth Maconchy on the same label. 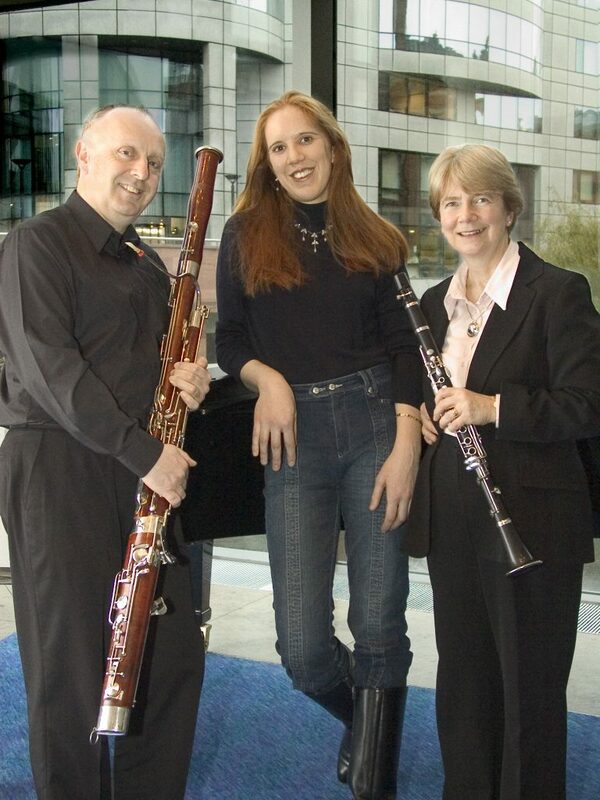 Laurence Perkins is one of Britain’s most highly respected bassoon soloists. He has performed and recorded much of the bassoon’s solo repertoire. His recitals include concerts at the Wigmore Hall, the Purcell Room, and performances throughout the UK and abroad, including a tour of Eastern Europe for the British Council. He has given concerto performances with orchestras in Belarus, Ukraine and Portugal. In the UK, Laurence has performed concertos with many leading orchestras, including the English Chamber Orchestra and Manchester Camerata, working with conductors such as Sir Charles Groves, Sian Edwards and Carlo Rizzi. 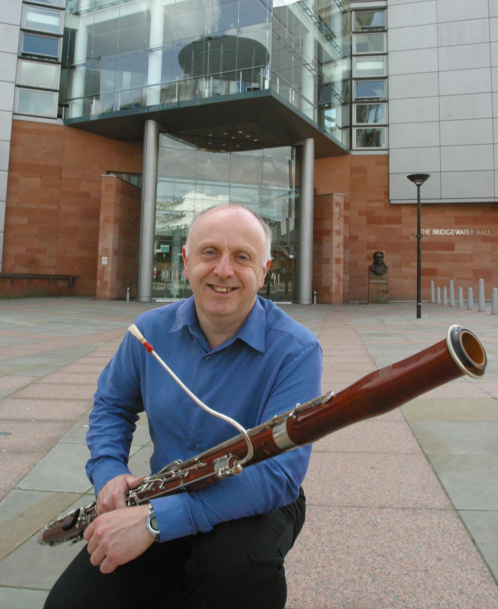 He was principal bassoonist with the Manchester Camerata from 1974 – 2017. His overseas concerts with them included performances in France, Germany, Norway, Hong Kong, Japan and Australia. His commercial recordings for Hyperion include a CD of concertos by Mozart and Weber with the Manchester Camerata, conducted by Douglas Boyd. This compilation received outstanding critical acclaim in the national press. He also recorded an earlier award-winning album for the same label in 1982 and has made numerous solo and chamber music recordings for IMP/Pickwick and Clarinet Classics. His latest Hyperion recording of music by Beethoven, Glinka and Strauss is due for release in autumn 2018. Laurence is a bassoon tutor at the Royal Northern College of Music and a regular bassoon and chamber music tutor at summer schools in the UK and overseas.